I recently contributed an article for our friends at Joyous Health on intermittent fasting, what it’s all about, and how Jonah and I do it. Sometimes when we contribute articles, then are edited and we will post them here so you can read them the way we wrote them. In this case the article was posted almost exactly as we sent it, but for the nerds out there, the references were not cited in the text, so if we’ve posted the original so you know exactly where you can follow our reference trail (because we’re nerds too). “Fasting! That sounds great!” [sarcastic, but still supportive, if that’s possible] was my response, when my husband told me he was planning to begin this, at the time, somewhat novel dietary approach. At that time, only a few years ago, the only persons we knew who fasted regularly were friends who observed for Lent or Ramadan, but it is now on the verge of becoming (if not already) a health fad. Since that first, (supportive) conversation, I have also begun practicing intermittent fasting, and believe I am a convert! Intermittent fasting (“IF” from here on in) is precisely what the name implies, “fasting, but not continuously”. There are different approaches to IF. Essentially, anything goes, as long as fasting periods are at least approximately 16 hours duration. Popular protocols are the “Warrior Diet” in which all daily eating is done in a four-hour window, leaving 20 hours for fasting1; “alternate day fasting” (sometimes referred to as “5:2” fasting), in which eating is confined to 12 hours daily (e.g., between 8:00 AM and PM) for five days weekly, and an all-day fast is performed two, non-consecutive days (e.g., Tuesday and Thursday) weekly1; and what we practice, eating all our meals within an eight-hour window daily (in our case, between 11:00 AM and 7:00 PM). My husband began experimenting with fasting, partially because he is a naturopathic doctor and professionally he wanted to experience fasting; but mainly it made sense for him because after our children were born, he was becoming a “skinny fat guy”, outwardly appearing thin, but thicker and softer in the middle, and with increasing (though not yet worrisome) blood lipids (e.g., cholesterol) levels. Fasting increases fat burning2, and decreased body fat levels are associated with improved blood lipid levels, blood sugar control, heart health and a slimmer appearance (which, presumably, is why so much Online fasting information is found on sites more directed at vanity than health). Some truly remarkable health benefits occur with periods of fasting longer than those discussed here, and outside the scope of this post. Fasting for periods of at least two-days triggers cellular regeneration5, and fasting periods of three-days promote regeneration of myelin, the tissue that suffers autoimmune damage in multiple sclerosis6. Many of the benefits of IF are associated with fat loss. Fasting essentially gives your body an opportunity to burn fat for fuel. Your body is constantly burning calories in the form of sugars (glucose) to stay alive. In order to provide tissues with the sugar needed, your liver and muscles store glucose as “glycogen”, enough for about 12 to 14 hours7 (unless intensely exercising). After this source of fuel is depleted, assuming no carbohydrates are consumed to replenish stores, the body begins to metabolize (“burn”) fat for fuel8. Less than you may think. In fact, our own experience has been that it actually streamlines our day. Research demonstrates that although fasting and caloric restriction (“dieting”) are equally beneficial for weight loss9, improving insulin sensitivity and other health biomarkers3; fasting is simpler to organize, and easier because it reduces appetite, while caloric restrictions does not (in fact, people who reduce calories by constant restriction/dieting, experience constant hunger10). First off, to be clear, IF is not a short-cut. It is not simply “not eating” (that’s called starving yourself, and is not a health practice). Although fairly simple, I consider IF somewhat “advanced eating” and I suggest if you are a new to this topic, speak to a health professional before starting. Fasting is mildly stressful for your body, imposing a mild stress on cells. This is one of the proposed mechanisms for the physiological benefits it yields3. It follows that you should be eating nourishing food to allow your body the nutrients it requires to endure the stress you are imposing on it. We follow a sort-of paleo/keto hybrid guideline, but a simple, well-balanced diet is adequate, and in fact, likely superior to the diet most subjects in human fasting research eat. The IF approach we use is to fast almost every day (we aren’t too strict on week-ends), overnight (eight hours we would not be eating anyway). We stop eating after dinner (around 7:00 PM) and have our first meal of the day at around 11:00 AM. Like all things, IF is fairly straightforward, but it isn’t for everyone. Bubbs M. Intermittent fasting: therapeutic diet or fad diet. Lecture presented at unrecalled; 2015; location unrecalled. I did this as a CME and have only a copy of the PowerPoint presentation and my own notes. I can’t find the full reference material, but the information presented here is actually referenced in the PowerPoint, so it’s legit. Kim A-H, Kim YH, Son JE, Lee JH, Kim S, Choe MS et al. Intermittent fasting promotes adipose thermogenesis and metabolic homeostasis via VEGF-mediated alternative activation of macrophage. Cell Research. 2017 Oct 17; [cited 2017 Oct 20]. Available at: https://www.nature.com/cr/journal/vaop/ncurrent/full/cr2017126a.html. Collier R. Intermittent fasting: the science of going without. Canadian Medical Association Journal. 2013 Jun 11; 185(9): E363–E364. doi: 1503/cmaj.109-4451. Cherkas A, Golota S. An intermittent exhaustion of the pool of glycogen in the human organism as a simple universal health promoting mechanism. Medical Hypothesis. 2014 Mar;82(3):387-89. Wu S. Fasting triggers stem cell regeneration of damaged, old immune system. USC News. [Internet]. 2014 Jun 5; [cited 2017 Oct 20]. Available at: https://news.usc.edu/63669/fasting-triggers-stem-cell-regeneration-of-damaged-old-immune-system/. Gersema E. Diet that mimics fasting may also reduce multiple sclerosis symptoms. USC News. [Internet] 2016 May 26; [cited 2017 Oct 20]. 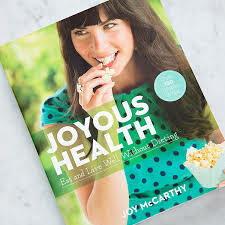 Available at: http://news.usc.edu/101187/diet-that-mimics-fasting-may-also-reduce-multiple-sclerosis-symptoms/. net. Glycogen [Internet]. [Cited 2017 Oct 20]. Available at: http://www.exrx.net/Nutrition/Glycogen.html. Izumida Y, Yahagi N, Takeuchi Y, et al. Glycogen shortage during fasting triggers liver–brain–adipose neurocircuitry to facilitate fat utilization. Nature Communications. 2013;4:2316. doi:10.1038/ncomms3316. Seimon RV, Roekenes JA, Zibellini J, Zhu B, Gibson AA, Hills AP, Wood RE, King NA, Byrne NM, Sainsbury A. Do intermittent diets provide physiological benefits over continuous diets for weight loss? A systematic review of clinical trials. Molecular and Cellular Endocrinology.2015 Dec 15;418 Pt 2:153-72. doi: 10.1016/j.mce.2015.09.014. Epub 2015 Sep 16. Speakman JR, Hambly C. Starving for life: what animal studies can and cannot tell us about the use of caloric restriction to prolong human lifespan. Journal of Nutrition. 2007 Apr; [cited 2017 Oct 20]. Available at: http://jn.nutrition.org/content/137/4/1078.full. Hatori M, Volmers C, Zarrinpar A, DiTacchio L, Bushon EA, Gill S et al. Time-restricted feeding without reducing caloric intake prevents metabolic diseases in mice fed a high-fat diet. Cell Metabolism. 15(6):848-60. Roth GS, Ingram DK, Lane MA. Caloric restriction in primates and relevance to humans. Annals of the New York Academy of Science.2001 Apr;928:305-15. Schubert MM, Irwin C, Seay RF, Clarke HE, Allegro D, Desbrow B. Caffeine, coffee, and appetite control: a review. International Journal of Food Sciences and Nutrition.2017 Dec;68(8):901-912. doi: 10.1080/09637486.2017.1320537. Epub 2017 Apr 27.